Hi. This is doctor Rob, and you have reached my blog. If you are here to read my blog, then continue to do so. If this is an emergency, please call 911 or go immediately to emergiblog. That is one of my pet-peeves. Every single doctor's office I call I am told the same thing: "if this is a true emergency, please hang up and dial 911." I even got that message when I called the ER. Kenny playing his "Mozart to Mel Torme" medley that has inspired millions. Clearly, the message is put on every office phone system to cover their collective tuchuses (is the plural of "tuchus" tuchuses or tuchi?) They are protecting these sacred parts from when a patient having a stroke sits and listens to the 21 options ("as the options have changed") and then listens to 20 minutes of 60's classics lovingly interpreted by Kenny G. Scientific evidence shows that after listening to muzak for long enough, even people without an emergency will eventually hang up and dial 911. But I don't put that warning on my phone system (and have opted for folk music instead of Kenny G). It's not because my patients are smarter (although they clearly are), nor is it because I don't value my tuchus. I wouldn't mind getting rid of a little of it, but overall I value that part of my body. The reason I don't put the "moron repellant" message on my service is because we answer the phone. If we cannot answer immediately we try to answer as quickly as possible. We are also available to our patients via messaging, email, or whatever other means they want to reach us. When you think about it, a lot of patients aren't really sure they have a true emergency and are calling to get advice about whether or not they should call 911, make an appointment, or just take some Tylenol. To make this decision, the patient has to run the gauntlet of the typical medical office's "doctor protection plan:"
The patient calls, and listens to all 21 options (as the menu items have changed). 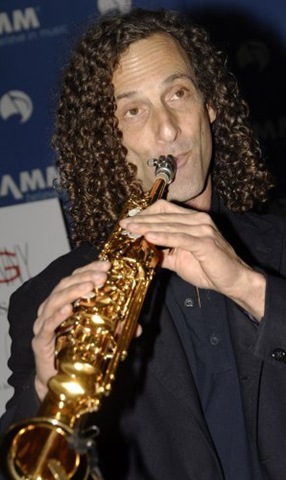 Listens to Kenny G (in the South, it's sometimes Travis Tritt) for an indeterminate amount of time. Speaks to a front desk person who is assigned to phones (usually a newer staff person who is not a clinically trained). Either is offered an appointment for some time in the next few weeks, get transferred to the nurse (or her voicemail), or be told to go to the ER (if it's a true emergency). If lucky enough to talk to a nurse, the nurse will give the same three options. See the doctor when the next appointment is open (after 2 hours in the waiting room). But what if it's a "true emergency" and the patient takes option 6? Then the "moron repellant" message about 911 protects the doctor from the patient's bad decision - a decision based on not knowing when something is worth worrying about and what is not. Care that is based on accurate information. Our health care system puts a huge wall between doctor and patients - a wall made of inane messages, voicemail, Kenny G, front desk staff and clinical staff. Doctors are reluctant to speak to patients about their problems because they are too busy seeing people in the office, and because they are not interested in giving away care for free. We physicians force people to come to the office because it is the only business model that works. While the PCP has the most information about the patient, they are not accessible. So people then go to the ER (or prompt care) because the incredible frustration they feel dealing with most doctors' offices. Yet while the ER is more accessible, it is not based by good information about the patient. The doctor has to get to know the person's medical history quickly, assess whether or not this constitutes a "true emergency" (requires hospitalization), take care of those with "true emergencies," and giving a temporary solution to those who don't qualify, with instructions to follow up with their PCP. This obviously poisons people's trust in the medical system, as nobody offers care that is accessible and informed. Nobody can answer the patient who wants to know if they have a "true emergency," yet isn't that one of the most critical questions to answer? Isn't that the key to reducing unnecessary emergency visits? Isn't that (as was the case twice this week in my office) the way to keep patients with "true emergencies" from sitting at home wondering and actually getting the care they need? Avoiding unnecessary treatment and getting necessary treatment promptly are two keys to reducing the cost of care. We are far to quick to blame patients for their bad decisions. The system forces patients to assess themselves as to whether their conditions constitutes a "true emergency" before they get a chance to talk to anyone. Patients use the ER unnecessarily because the it's a pain in the tuchus to deal with their PCP, and when they actually sit in front of their actual doctor, that doctor is tired, getting their tuchus whipped by CPT codes, ICD codes, and meaningful use criteria. Do I have to say it? There is a better way. Just ask my patients. Their tuhuses feel just fine. They don't have to listen to the "moron repellant" message every time they call (or Kenny G), and actually get my help in deciding if they should call 911. I know them, they know me, and they have access to me when they need me. It's a novel concept that my patients have to adjust to: I want to talk to them. I want them to call me. My door is open.